"Welcome to our site. Here you can see what we have coming up, and what work we have been doing to help our local businesses gain strength and gain resilience. It is these traits that help our local economy grow and thrive. Also - don't forget to spend your Mudgee Money cards at our supporting stores." We have partnered with WLT to bring our region a proactive gift card program - encouraging more customers to shop locally. Gift cards purchased in the Mid Western Regional area are spent here at any participating supporting store. If we increased spending in our Mid Western Regional area by just 2% per year, this has the potential to create 23 additional jobs, as well as generate up to $4 million dollars in additional economic value to our region. Just imagine how that 2% would help us all. You can purchase a card at any 'load-up' store listed, or you may be given one by a family member or friend for your birthday, or your boss may reward your hard work by giving you one as a bonus. You then spend this money at one of our local 'supporting' stores - it's that easy! 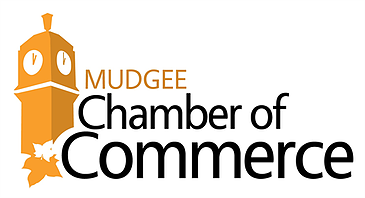 See who belongs to our Chamber of Commerce community. Our members are passionate business owners in the Mid Western Region. Let's find ways to support them, and help our region flourish. If you are a local business owner and you can't see your name on this list - well, then its time to join up! The Chamber strives to provide ongoing education and assistance to our members. Let us show you how we can help you and your business. Our alliance with the NSW Business Chamber enables our members to additional business benifits free of charge. we were the first town to go pink! The Mudgee Region was the first town to 'Pink Up' in 2016, in partnership with the McGrath Foundation - raising awareness and providing fundraising for this exceptional cause. The resounding success of this event has encouraged the McGrath Foundation to approach other towns, and follow our lead. It was tremendously pleasing to see so many local businesses and residences turning pink - we even had our clocktower shine with a pink glow during this time.